Neem is respected by Ayurvedic practitioners for its ability to to cool, calm and balance the skin. 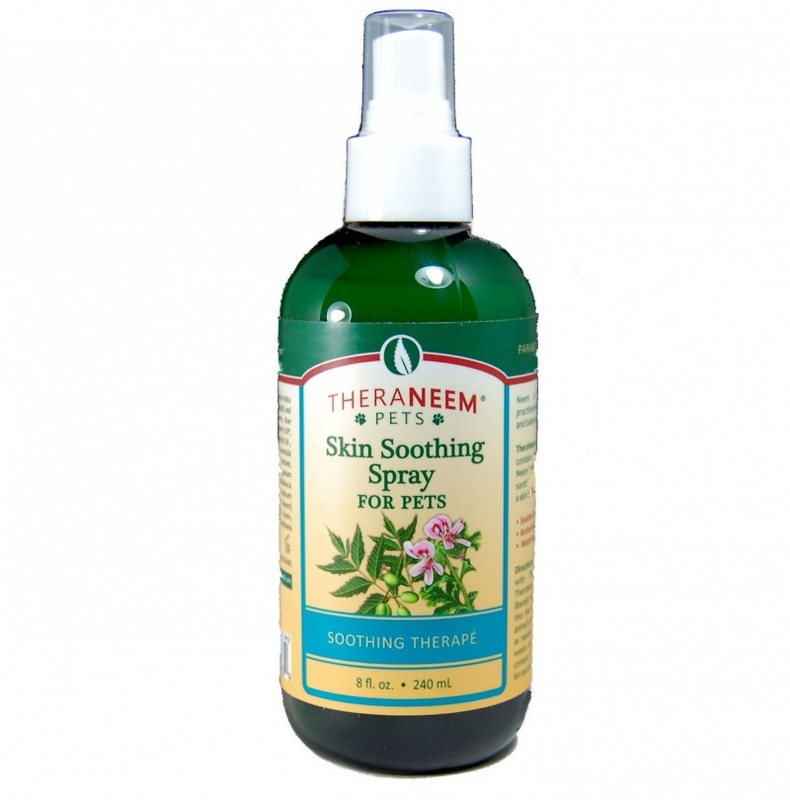 TheraNeem Skin Soothing Spray for Pets contains the powerful and skin friendly Neem leaf and Neem oil combined with other soothing and nourishing botanicals to create a skin balancing solution for your pets. Directions: For best results, bathe animal with TheraNeem Pet Shampoo. Once dry, apply liberally from head to tail and massage well into the skin. Do not spray in or around animal’s eyes, nose or mouth. Use regularly as needed. Safe and effective for dogs 12 weeks and older. I have tried many, but this is definitely the favourite. It leaves skin and fur clean and hydrated and it does prevent external parasites. The fragrance is fresh and very subtle, even the dogs won't complain. And this shop is very helpful, the neem team is wonderful! Thank you, all. I haven't noticed any effect from this spray and have found the strong garlic-y smell hard to take.